The warm luster of Swarovski Peach Pearls in three parallel strands with a wide turtle clasp give this Necklace a truly elegant look. Make your dreams come true with this gorgeous 3 stranded Pearls Bridal Bridesmaid that has the added interest & it is Handmade Exquisite Set! 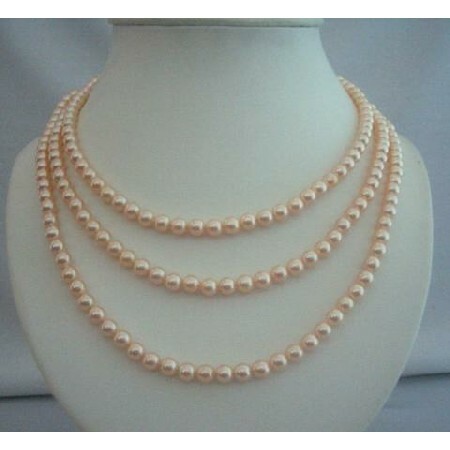 All A Grade & Material are used to make this beautiful tripple Pearls String Necklace.